Every April, the increasingly important Campania Stories, an event presenting new releases of a great many Campanian winemakers, convenes in Naples. 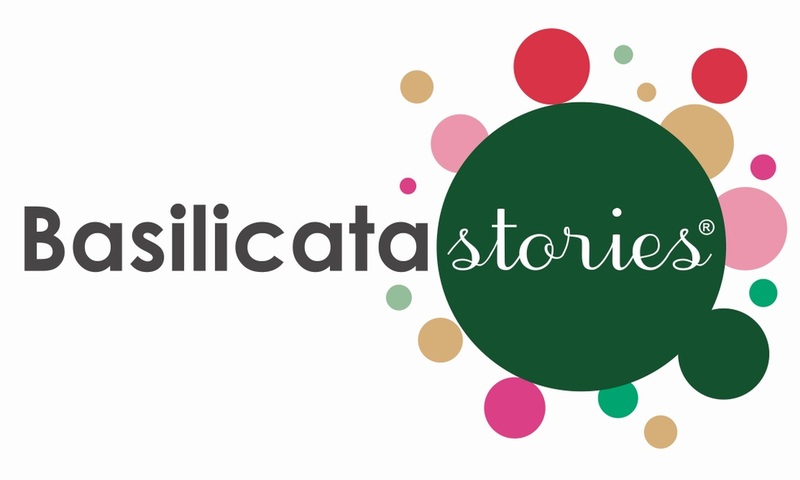 This year, it grew a new appendage, a day devoted to Basilicata Stories. This is to my mind a very promising development: I think the south of Italy is making some of the most exciting wines in the whole realm of wine, and it needs to find a way to make its case to the world. An event like this, which could bring together all the wonderful produce of Italia meridionale, may be just the venue it needs. 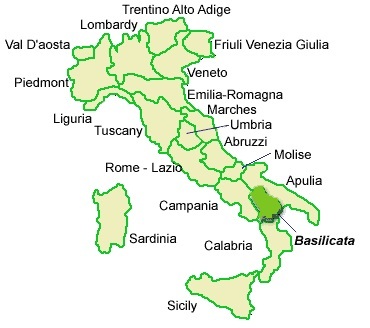 Basilicata, for those unfamiliar with Italian geography, is the province at the bottom of the Italian peninsula, jammed in between Puglia to the east, Campania to the northwest, and Calabria to the southwest. If Puglia is the shank and heel of the Italian boot, and Calabria the toe, then Basilicata is the instep – and like insteps everywhere, it doesn’t get much attention. I hope that will be changing soon. 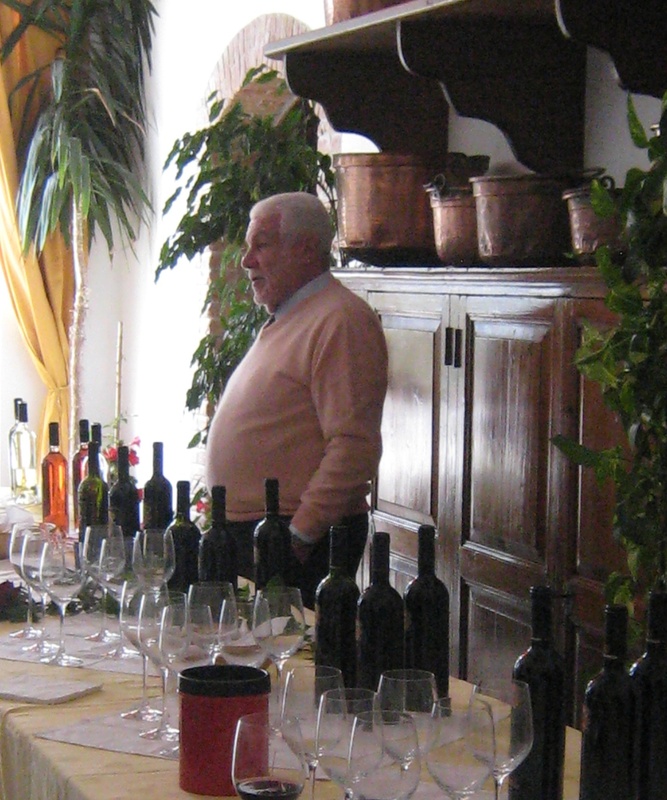 The event in Naples presented 45 wines from 18 producers in its blind tasting. 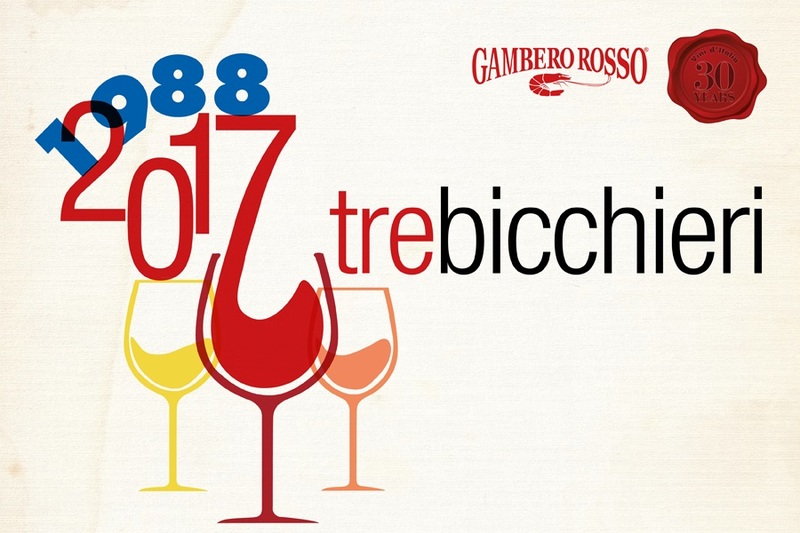 Almost three-quarters of the wines were red, vinified in large part from Primitivo and Aglianico, with a very small admixture of Merlot and Cabernet sauvignon. Most of the Primitivo wines originated in the eastern end of Basilicata, where the terroir and the grapes seem to be almost a continuation of Puglia. Aglianico is far and away the most important and most widely planted variety in the region, with Aglianico del Vulture Superiore, Basilicata’s only DOCG, pre-eminent. This has been so for a long time. I remember visiting Rionero in Vulture decades ago, when it was a sleepy country town,* and the only winemakers of note in the area were Donato d’Angelo and, to a lesser extent, Paternoster; and the only wine of distinction in Basilicata was Aglianico del Vulture. The Monte Vulture that lends its name to the zone and appellation is a long-dormant, probably extinct, volcano, high and windy – so windy, that, as I recall, Aglianico vines were grown very close to the ground and surrounded by little teepees of reeds around which the vines could twine and shelter the grapes. I haven’t been back, but I suspect that is probably no longer the case. There are certainly many more producers now than there were then, and many more Aglianico appellations. Much has no doubt changed about the fieldwork with Aglianico, and this Naples tasting certainly showed that the wine, already fine back then, has gotten even better. Only some of these wines – those in red – are at present imported into the US, but I suspect that will be changing as attention begins to be paid to this important variety and to the whole zone. I’m not sure I can say the same about Basilicata’s Primitivo wines. Although I found many of them charming, these wines are so overshadowed by the better-known and better-distributed Primitivi coming from Puglia that I fear it will take them a good while to break into the American market. For their sake, and for the consumer’s sake, I hope I’m wrong. * Purely personal history: It was around 1980 when Diane and I visited Donato d’Angelo, and Diane was gawked at along the whole length of the main street of Rionero as probably the tallest woman ever seen there. She then created what seemed to be the scandal of the year by entering the café with us boys and having an espresso at the bar. The times they have a-changed, especially in the Italian south. 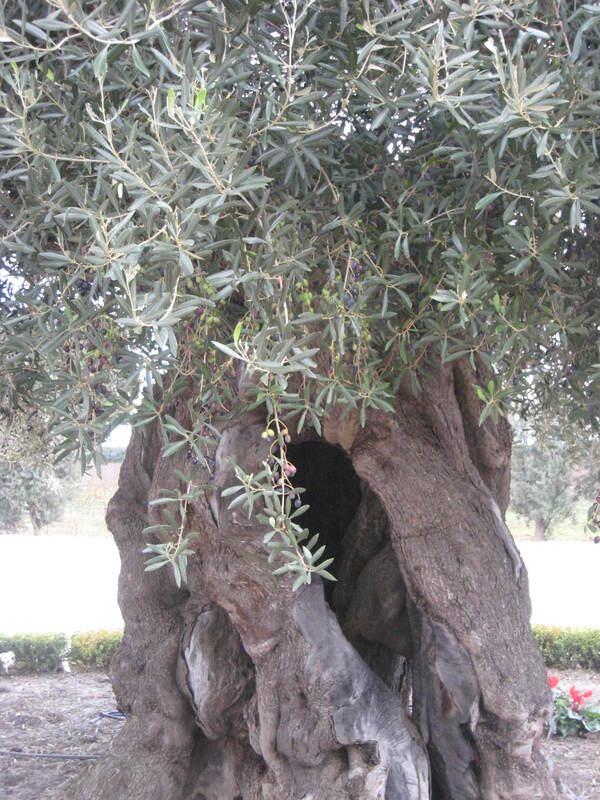 The far south of Italy is a treasury of native grape varieties, especially noble reds. Puglia offers Primitivo, now famous as a kissing cousin of Zinfandel, as well as the still relatively unknown Negroamaro. Basilicata presents the long-aging, structured Aglianico del Vulture, a very close relative of the grape that makes the deservedly much-honored Taurasi of Campania. As guests of the American importer Frederick Wildman and the Italian company GIV (Gruppo Italiano Vini) earlier this month, five American journalists and sommeliers made a trip as much in time as in space, from the baroque urbanity of Lecce in Puglia to the rural beauty of the countryside outside Venosa in Basilicata. Both places are time-stopped: Lecce is a jewel of 17th-century architecture, and Basilicata possesses an archetypal rural landscape. It is still referred to by its residents as Lucania, its name since pre-Roman times. That’s what the Roman poet Horace, who was born there, called it, and if Lucania was good enough for Horace, it’s good enough for me. I suspect the rolling, vineyard-dotted landscape of its high, volcanic plateau still looks much as it did to his eyes, and I’m certain that the roads are no better – maybe worse – than they were under imperial Roman rule. But I’m getting ahead of myself: Puglia first. An easy drive out of Lecce on the road to Taranto lies the sprawling Castello Monaci estate, approximately 375 acres of vineyards and ancient olive trees. It’s a real castle, and a big one. It started life as a monastery – hence “Castle of the Monks” – became a serious castle, and is now reincarnating itself as a glamorous agriturismo and event space. Its line of basic wines, however, is anything but upscale in price, even though all offer a very respectable level of quality. If you’re looking for value wines, wines that are as easy on your wallet as they are on your palate, Castello Monaci gives you a whole spectrum of choices, all priced at a very comfortable $13. Simera (Salento IGT) is a nice blend of Chardonnay and the native Verdeca – good fruit, a little heavy on Chardonnay-tropical-fruit flavors (this is a warm, sunny land) but soft and pleasing and a fine companion to fish and spicy antipasti. All the Castello Monaci wines in fact showed as very food-friendly, so you can take that as a given. Kreos (Salento IGT) blends mostly Negroamaro with a bit of Malvasia nera to make a surprisingly successful dry and elegant rosé. I hadn’t expected such delicacy from grapes that are normally power hitters. Maru (Salento IGT) highlights Negroamaro (100%) in its dark guise – black cherry and tobacco in the aroma and the mouth, with good structure. The 2008 tasted very young – drinkable, but sure to improve with a little age. Liante (Salice Salentino DOC) mixes 80% Negroamaro with 20% Malvasia nera to make a slightly fuller and rounder wine than the Maru, one that will take to stronger foods with equanimity. Pilùna (Salento IGT) is all Primitivo, with a very Zinfandel-like brambly nose, juicy blackberry/mulberry fruit, and a slight, enjoyable prickle in the mouth – straightforward, good, and fun. I couldn’t agree with him more. Aglianico – the vine dispersed northward by Roman legions – may well be the ancestor of both Nebbiolo and Syrah, though the evidence is far from complete. I’ve loved Aglianico for years, both in its Campanian versions (Taurasi, Falerno rosso) and as Aglianico del Vulture. In both guises, I believe it’s one of the greatest of the noble red grapes, capable of wines of the amazing depth, complexity, and longevity – so for me it was a delight to find a northern winemaker whose work I deeply respect so excited by Aglianico. We were visiting on November 13, and the harvest had finished only a few days before – “Here we have always the latest harvest in Italy, because of our very cool nights,” Capurso said. That very long growing season, with its great day-to-night temperature shifts, is what lets the Aglianico grape reach its richest, most aromatic maturity. Capurso had prepared half a dozen wines to demonstrate that. Aglianico del Vulture DOC 2005, from 20- to 30-year-old vines. A stemmy and earthy nose; on the palate, good dark fruit with abundant soft tannins, and a long, tobacco finish. Very good but very young: You can drink it now, but it will be even better in three or four years. “In a minimum of ten years, this wine will be at its best,” Capurso says. Aglianico del Vulture DOC Serpara 2001. Serpara originates from a small, high vineyard of older vines, always hand-harvested and vinified and aged separately. Although still evolving, the 2001 is already quite complex, its dry plum fruit marked with significant minerality – very, very fine. This will easily be a 20-year wine. Serpara 2003: showing more fruit in the nose and the palate, also more tannin and less acid. More forward and readier than 2001. Serpara 2004: excellent dark fruit and tobacco flavors – a lovely, complex vintage. This one can evolve and improve for another decade and easily last a decade beyond that. Serpara 2005: tobacco/mineral/blackberry nose; good soft fruit, a trifle closed; nice acid/tannin balance. Still fine, though not as complex as ’04, and easier to drink now. Serpara 2006: In the aroma, tobacco first, then black fruit. On the palate, dark, berry-ish fruit, soft and round; well balanced and gentle but still big – another wine to cellar. Cellaring is the key to Aglianico. It’s a grape that really reflects harvest differences and that needs time to bring all its components into balance – not a wine for the casual quaffer, but one for the serious wine drinker who prizes excellence and has the patience to wait for it. For their quality, these wines are also bargains – $39 for the basic Aglianico, $42 for the single-vineyard Serpara. These are what I think of as true collectable wines – not for investment (much as I revere Aglianico, I doubt it will ever attract the big-money boys: thank whatever gods may be!) but for the kind of appreciation that only your palate can collect. Put some bottles of ’01 or ’04 or ’06 Serpara away and forget you have them for ten years: then open one with dinner and congratulate yourself on how shrewd you are and what a great investment you made.